MNF Precision Analytics™ gives you a complete picture of your voice services, with the ease and flexibility of web-based dashboards. 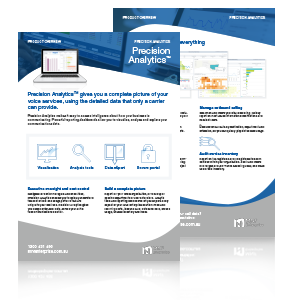 Designed for managers and executives, Precision Analytics makes it easy for you to access intelligence about how your business is communicating. Gain deep carrier-level data. Understand the cost drivers and usage patterns that are unique to your business. Nothing is hidden. Explore fixed costs, inbound and outbound usage, excess usage, inventory - and more. Simplify reporting. 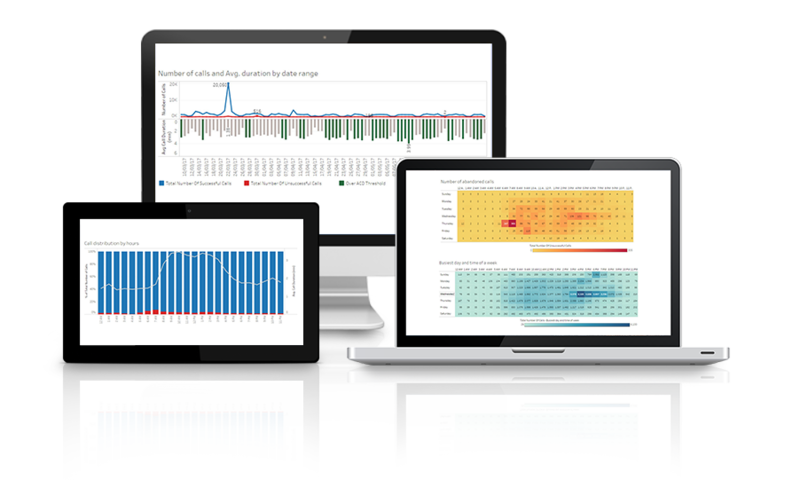 Web-based dashboards let you visualise, analyse and explore your communications data. Report on your organisation as a whole, or drill down to view usage and charges for specific departments and users.